At Empowered Finance we are here with you for every step along your property ownership journey. We offer advice and guidance beginning in the search for your ideal property to settlement of your loan and beyond. Buying a property is like riding a bike. You need someone to teach you. We are here to teach you and provide you with expert advice to empower you with the knowledge you need to make great financial decisions throughout your buying journey. Looking for a simple way to calculate your home loan repayments? Home loan calculators are useful in exploring how much you can borrow, your monthly payments, and how long it will take you to repay. 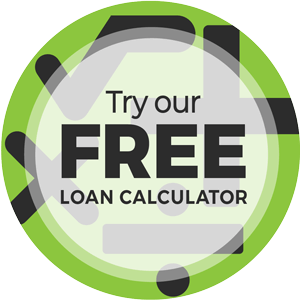 You can use our free calculators to estimate your minimum monthly mortgage payments based on the length of your mortgage, your loan amount, and your interest rate. Our loan repayment calculator uses the amount you will borrow, the term, and the interest rate to calculate the total repayments. Your income and expenditure can help determine the monthly repayments you can afford to pay. Please note: Our home loan payment calculator may require you to enter your annual salary before tax, rental income, any other regular income, your monthly expenses, the number of dependants, and the number of applicants. The overwhelming number of banks, lenders, and loan types in Australia’s financial market can easily become overwhelming. We’re here to show how to calculate your home loan payments. More than this, we can be there to guide you on the process of buying a new home, refinancing a home, or investment property. Unlike banks that only sell their products, and limiting your choices as a result, we expose to you a variety of lenders offering different terms for a buying a home. At Empowered Finance, we’re here for you. Our team is built up of experts that can evaluate what you need, how much funding you need and can afford, and match you with the right lender. Notably, we do not charge any fees for our mortgage brokerage services. As we are paid in commission by your chosen lender, we are able to create considerable savings in the home loan process and pass them entirely on to you. We’ll never take your money. We’ll only help you save more of it by matching you with the most appropriate lender that has your financial goals in sight. At Empowered Finance we can simplify the home loan process for everyone. Reach out and speak to one of our local financial experts to describe what you are looking for in a home. We can discuss your income, interest rates, various home loan options, and advise on the best mortgage deal to suit your goals and financial situation. Call us today, and allow us to partner with your vision and guide you through the process of buying your dream home without stress or unnecessary fees. While you can shop around for a home loan in as many banks as possible, you may be limited in the number of lenders you can contact. At Empowered Finance we have access to special programs that you cannot access as an individual borrower. More choices. More control. More ways to save money. The time you would have spent comparing multiple lenders and different loan types can quickly add up. On top of this, without financial support you may end up choosing a deal that over promises and under delivers. Outsourcing the work to a specialist who can give you expert advice at no cost to you can take the load off your shoulders and give you your time back. Lenders typically offer fixed terms that favour them more. At Empowered Finance we can liaise between you and your chosen lender to ensure that you have more control over the closing process. We can negotiate for leniency in paperwork or credit issues, flexible closing times, and make sure that you find a loan with terms that match your needs. At Empowered Finance we have access to exclusive deals that may not be advertised to individual shoppers. Our broad range of industry contacts can help us find better mortgage deals for you. We have access to the best home loan rates in Australia. Even better, you may not need a large initial cash outlay since we do not charge any fees for our services. With Empowered Finance, you can save the money you would have paid in service fees. We will partner with you to assist with your best interests in mind, and to link you to the best lender. Your money is important to you, so we make it important to us too. Basic loans have low interest rates but fewer features. Some have a redraw option, though this has restrictions and fees attached to it. A basic loan may not suit you if you intend to make extra payments and access them in the future. Compared to basic loans, standard loans loans offer more flexibility. You can redraw any extra money you have paid, split your home loan into fixed and variable portions, or even switch to a fixed rate. Depending on your loan amount, you can get up to 1.2% in interest rate discount with a home loan package. This can be cheaper than many basic loans. The package may include a no annual fee credit card and a free offset account. However, you may pay a higher package fee. We can provide you with an accurate indication of your borrowing power and how much cash you will need to input. This gives you confidence in knowing whether you can or cannot afford the property you are looking at. At this stage we will discuss and begin to present the best lender options suitable to your circumstances. We can also arrange a ‘pre-approval’ with your desired lender to give you the edge on other buyers. We provide complimentary RP Data Professional Property Reports for any properties and suburbs you may be looking to purchase to empower you when negotiating a price. You will need to identify the maximum amount you are willing to pay for the property – bearing in mind what you can afford. We can assist by touching base with the real estate agent to get further insight into the transaction. Once you have made an offer, you will need to formalise it by completing an Offer and Acceptance (O&A). You will need to engage the services of a Licensed Conveyor to coordinate settlement with the seller and new lender. We have a relationship with Lacey and Co Conveyancing who offer our clients a “free contract check” to ensure the O&A is completed correctly and in your favour. Step 3 - Your offer is accepted! So your offer has been accepted by the seller and it is full steam ahead with the mortgage application. Once the seller accepts your offer you will both sign off the O&A. At this stage it is time to select a lender (if you haven’t already done so). We then complete and compile your home loan application for you to double check and sign. Once signed, we lodge your application with the lender with all the supporting documentation. It is also a good idea at this time to engage the services of a building inspector – we can help point you in the right direction here. At this stage your application will be with your selected lender’s Credit Assessment Team. We will liaise with the Credit Assessor to get your loan approved. They may request further information or documentation which we will work with you to provide. The lender will want to order a valuation of the property at this stage – we will arrange this with the real estate agent. All going well – we get Unconditional Approval for the loan and we proceed to loan document signing. Once Unconditional Approval is confirmed, the lender will generate and issue the loan documentation. We will double check all documents to ensure they are correct. The lender’s loan document team will generate the loan documents. Once documents are confirmed we will arrange a loan document signing appointment – here we will explain all documents in detail prior to signing. We will then send the completed documents back to your lender. Once your lender confirms the signed documents have been received and completed correctly, they will advise us they are ready to book settlement. We will notify your Conveyancer and the real estate agent that your lender is ready to settle the transaction. Your Conveyancer will liaise with the seller’s Conveyancer to ensure the property is ready to hand over and agree on a settlement date. Once agreed upon, settlement will be booked for the mutually agreed date. The day has finally come for you to officially be homeowners and get the keys to your new property. Congratulations! Settlement will be booked in for a specific time on the agreed day and will be carried out by your Conveyancer. Once settlement has been completed, the property is officially yours. Your Conveyancer will notify the real estate agent, you, and us. It’s time to pick up the keys to your new home! You are now home owners. We are here to provide ongoing assistance and support in helping you manage your loan repayments going forward and for the life of your loan. We will keep in contact in the months following settlement to ensure your new lending is set up correctly. We will review your lending annually and make recommendations based on your changing requirements. We can also assist with maintenance of your lending – loan increases, repayment changes and so on.